More than 50,000 Lao Krang people inhabit a large area of central and western Thailand. Their communities spill into at least eight provinces, including Phichit, Suphan Buri, Uthai Thani, Chai Nat, Phitsanulok, Kamphaeng Phet, Nakhon Pathom and Nakhon Sawan. 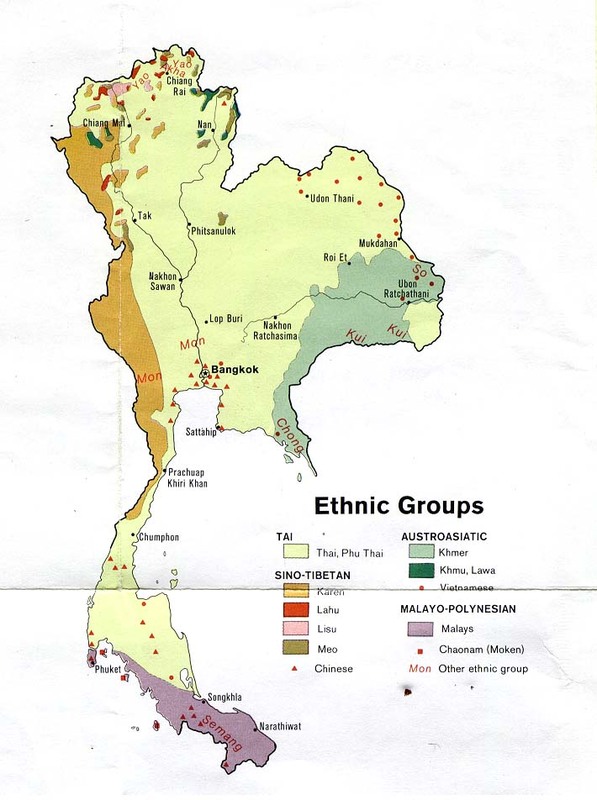 The Lao Krang language is closely related to the Lao language of Laos and Isan of north-east Thailand. This linguistic link results from the history of the Lao Krang. They originally lived in the eastern part of Luang Prabang Province in Laos and parts of the neighbouring Houaphan Province. When the Siamese army invaded Laos in the 1770s they captured the forefathers of the Lao Krang and took them as prisoners of war far across Thailand to their present locations. The Thai authorities first used the Lao Krang as labourers, to increase food production to feed the Siamese military. For several generations the Lao Krang were forced to work for their captors, until they were granted freedom by the great King Chulalongkorn in the early 1900s. The Lao Krang of Thailand are not the same people group as the 5,000 Lao Khang of Laos. The Lao Krang derive their name from their skills in extracting a type of organic paste from the krang beetle, which they use to make a bright red dye for their textiles. These days, however, only the Lao Krang in western Thailand continue this custom, as the krang beetle is not found in central Thailand. There they use commercial chemical dyes. The traditional dress of Lao Krang women is striking, with vivid orange, red and yellow colours decorating their clothing. The regions inhabited by the Lao Krang are well-watered and ideal for agricultural production. Their main crops are rice, maize and peanuts, which they produce in commercial quantities. They also raise chickens, ducks, pigs and buffaloes. Many Lao Krang youth have turned away from making their living through farming and have found jobs in the cities and large towns in the region, and also in Bangkok. Until fifteen or twenty years ago, the Lao Krang married only within their own tribe. A bride price was set depending on the social class of the bride and groom. Wealthy families had to pay a traditional bride price of 3,999 baht (about US$90), 1,999 baht ($45) for middle-class families and 999 baht ($23) for poorer families. 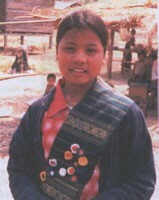 These days many Lao Krang youth are intermarrying with the Thai, Isan and other ethnic groups. The Lao Krang are strong and zealous Theravada Buddhists. 'Until some decades ago, every young Lao Krang man had to enter the monkhood to become a novice before they could marry. In Lao Krang society, Buddhist teachings are the roots for social harmony and an emotionally and physically stable environment. Besides their belief in Buddhism, the Lao Krang honor a multitude of spirits and worship their ancestors. They believe in good and bad spirits who inhabit the house, village, forest, water, trees, etc. The most important of these spirits is the guardian of the village, called hoo jau nei.' The Lao Krang are a needy unreached people group with few Christians and minimal exposure to the gospel. View Lao Krang in all countries. Location in Country: Their communities spill into at least eight provinces (of central and western Thailand), including Phichit, Suphan Buri, Uthai Thani, Chai Nat, Phitsanulok, Kamphaeng Phet, Nakhon Pathom and Nakhon Sawan.